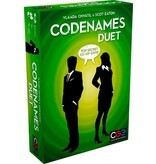 Two covert operatives are on a secret mission in a crowded city. Each knows 9 secret agents that the other must contact. Communicating in coded messages, they sneak past enemy assassins in an attempt to complete their mission before time runs out. 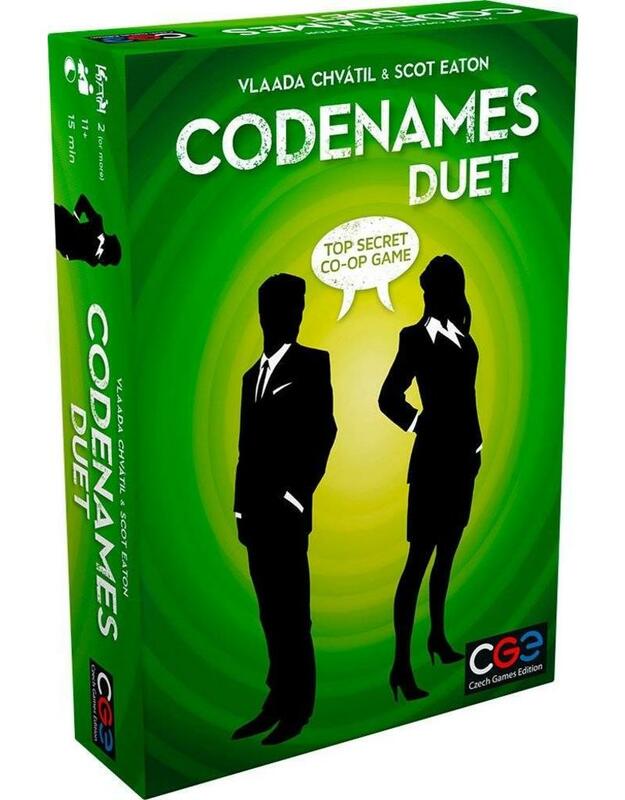 Codenames: Duet is a cooperative word game for two or more players. A key card gives you 9 words to give clues and 3 words your partner must avoid. A clue is only one word, but it can point to multiple words that you want your partner to guess. Your partner also gives you clues for the words you need to find. 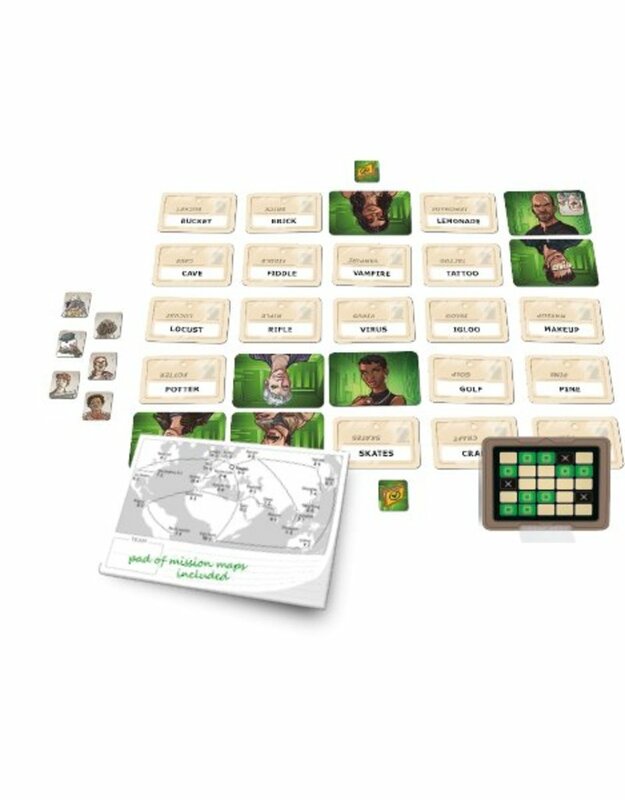 If you both find all the words before you run out of turns, you both win! Plays great as a 2 player game!